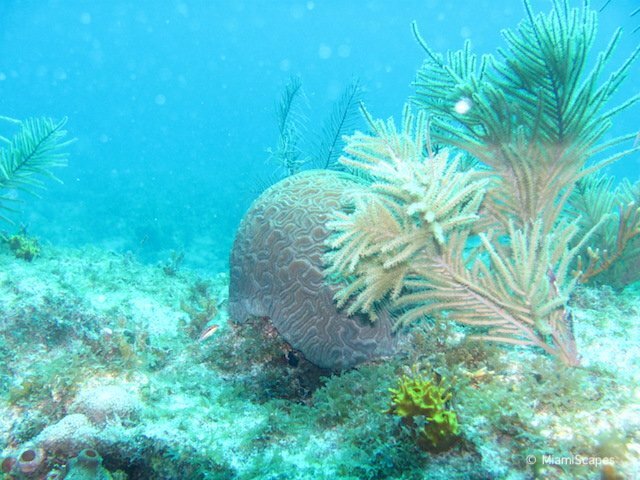 This underwater paradise is just the beginning of the third largest coral reef in the world (after Australia's and Belize's Barrier Reefs), and it extends southwards for another 170 miles into the Florida Keys National Marine Sanctuary. 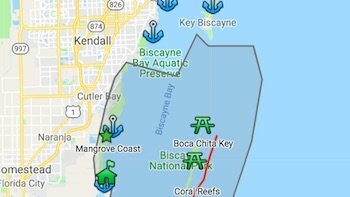 The offshore reefs within Biscayne National Park waters are only reachable by boat, there is no beach or shore diving at the park from either the mainland or the small keys. 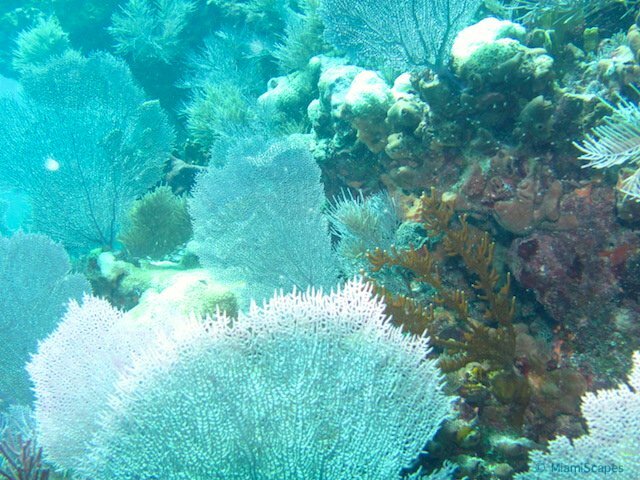 The Park provides year-round daily snorkel tours to the reefs through their Concessioner. The boats leave from the jetty at the visitor center. Programs may differ from season to season so it is best to check before you head out. Before our snorkel tour, there was a short orientation about the Park, the reefs, conservation, marine life, do's and dont's to protect the reef and its inhabitants, etc. The orientations are provided by park staff or volunteers and are a great introduction of what you are about to see. Then everyone was outfitted with mask, fins and snorkel and a snorkeling vest and we were off! The trip to the reef takes about one hour. It is just amazing that so much color and life can exist so close to a mega city like Miami, the park is only a half-hour away from the hustle and bustle, practically next-door. We spent approximately an hour on the reef and saw a lobster, many schools of pretty fish, beautiful hard and soft corals, little shrimps, fans and sponges, and what we think was a moray eel hiding in the rocks! After our snorkel, it was time to get back on the boat. 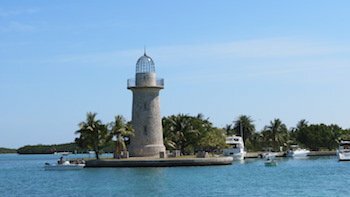 We stopped at Boca Chita to pick up the rest, and headed back to the dock at the Visitor Center. Overall, plan on minimum of three hours, maybe four, it is a great way to spend a morning or afternoon! Sun protection: One hour in the water is a long time, even if it is overcast. A thin swim shirt that provides UV protection and is quick drying is great for snorkeling. And a waterproof camera of course! 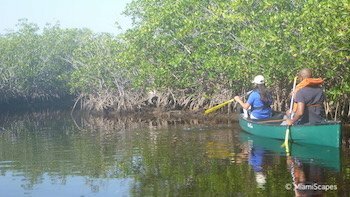 Tours are ran by the Biscayne National Park Institute. 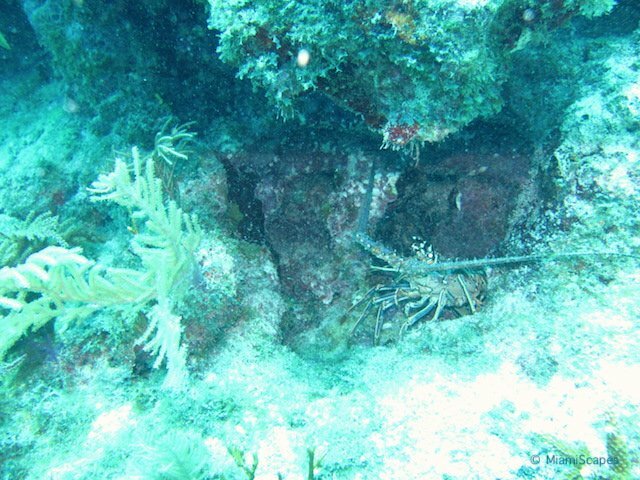 They have daily morning and afternoon trips to the reefs, wrecks or bay depending on the weather and cost $59 per person. Mask, snorkel, and fins can be rented for an additional cost. They also offer a Maritime Heritage Trail Shipwreck Snorkel on select days for $69. Snorkel Tour Boats leave from Biscayne National Park headquarters, you first check in at the store next to the Visitor Center. 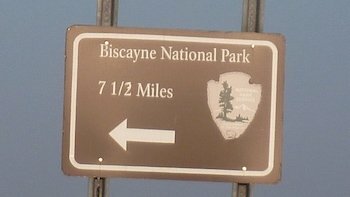 FAQ - Biscayne Park or Pennekamp Park? 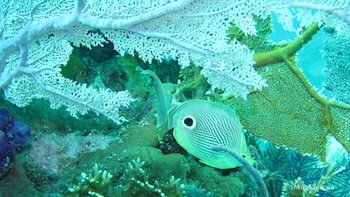 The reefs and what you will see are comparable at both locations, it will depend on the conditions at the time of your excursion and luck, remember that each dive/snorkel is different. Despite being slightly closer to Miami, Biscayne Park does not get the "tourist traffic" that Pennekamp does. On the plus side, boats at Biscayne are normally less crowded and the pace less hectic than at Pennekamp. On the minus side, if you are set on snorkeling the reef, please keep in mind that depending on weather conditions, this may not be possible and you will snorkel the bayside area instead. You need to inquire on the day of your visit, this is important specially for visitors that come to the park for the sole purpose of snorkeling the reefs. Snorkel tours are also more expensive at Biscayne Park. 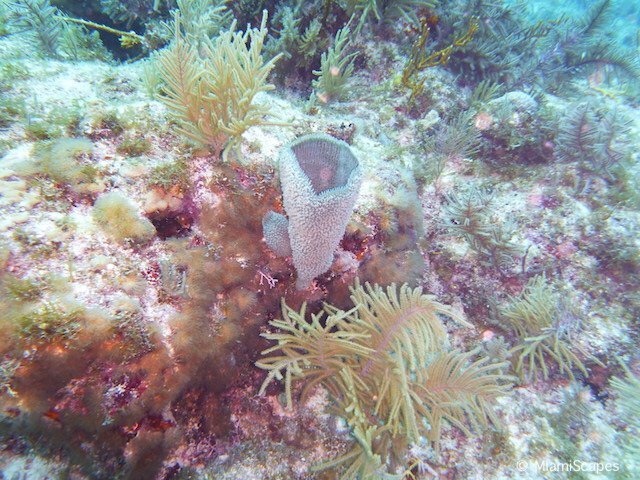 Pennekamp snorkel tours for adults cost $29.95 vs $59 at Biscayne. Please note that the Concessioner that provides the snorkel trips is separate from the National Park. 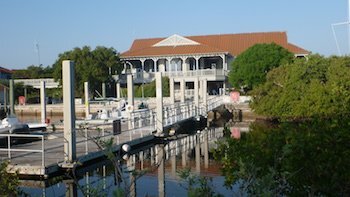 There have been many different outfits filling the position over the years, at the moment the current concessioner is the Biscayne National Park Institute. The staff is extremely helpful and will try to accomodate any reasonable requests. 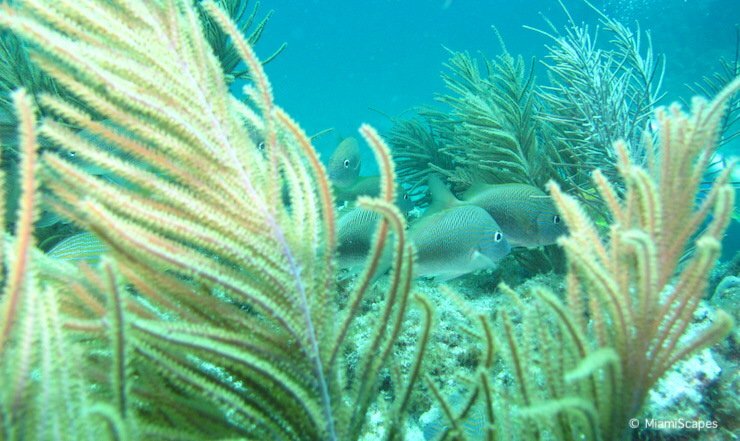 If snorkeling on the reef is a priority, you can also consider heading down to the Keys. Pennekamp is one of the popular options, but there are literally hundreds of operators along the Keys corridor. 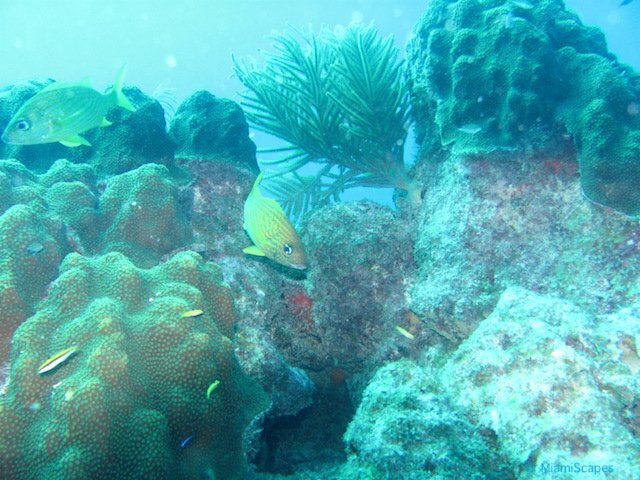 Here's more on Snorkeling at John Pennekamp Coral Reef State Park. Here's more on Snorkeling in Miami and nearby. FAQ - What about Scuba Diving Trips or Glass-Bottom Cruises? 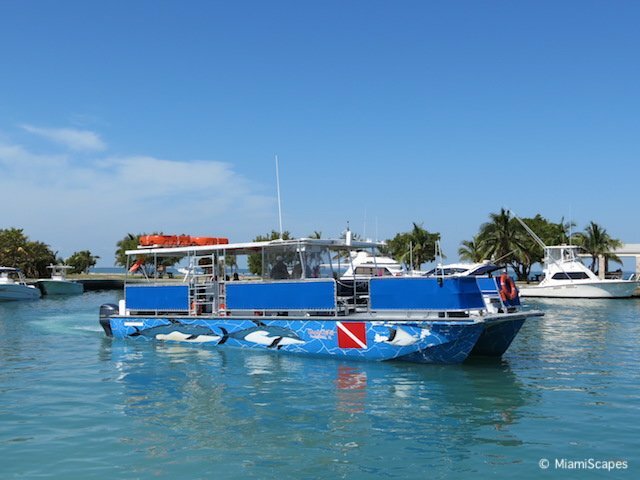 We have not seen any Scuba Diving for certified divers or Glass-Bottom cruises running from the Park's Visitor Center although many are offered by outfits authorized to operate within the waters of the park and leave from their own different locations in Miami, Miami Beach or the Florida Keys. For a list of current tour operators and their offerings click here. 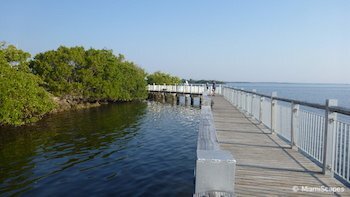 Key Largo which is not far away of course offers many alternatives for both activities.